2 by 3 Heroes: Spring cleaning theme: ZAPPAGE! It just happened to fall that the last three packages I am showing off are from 3 of the most generous bloggers out there. You have Matt - you have Wes. Well, Zippy Zappy is doing his best to weasel in and let folks know that he's willing to drop some amazing cardboard at your house, just cuz. You hopefully visit Zippy on a daily basis over at Torren' Up Cards. Unfortunately, the namesake player for the blog is going to miss the 2015 season, so who knows if there will be a name change. I think he should hold a contest. Kardashian' Up Cards has a nice ring to it. I posted a little about Zippy's package a week ago, but mentioned then I would get more into it because....well, let's let the cards speak for the greatness of this mailing. Let's start with Asian Bowman. The black borders says these are pulled from packs of Bowman Prospects that came from the Asian market. Man - looks so good with the black uni tops. Vintage. I'm not going to work on the Heritage set this year. 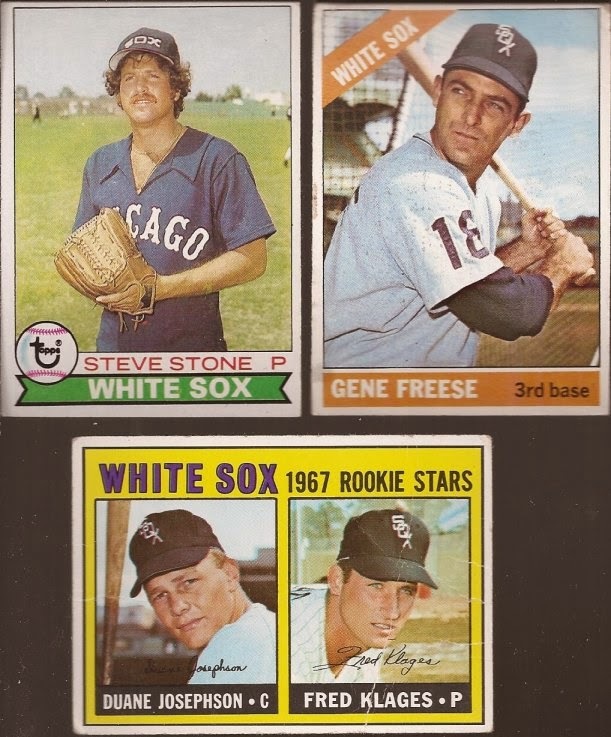 I think Topps should really look at the images from the old sets and do their best to recreate them. Get some stadiums in the background. Cut down on the sharpness of the images. My two cents. I forgot how much vintage was dropped on me, but it cleared some fields on my needs list. Nice mop top Steve, btw. Yes - this is a Sterling auto of Courtney Hawkins. And yes, there are more cards to show from the package. So you can imagine when I felt to place this BELOW the level of the rest of the cardboard how generous Zippy was. YES!! YES!! YES!! Zippy commented how he went back to his homeland and picked up a bunch of Sega CardGen. I was so hoping I would get one. I did much better than one. 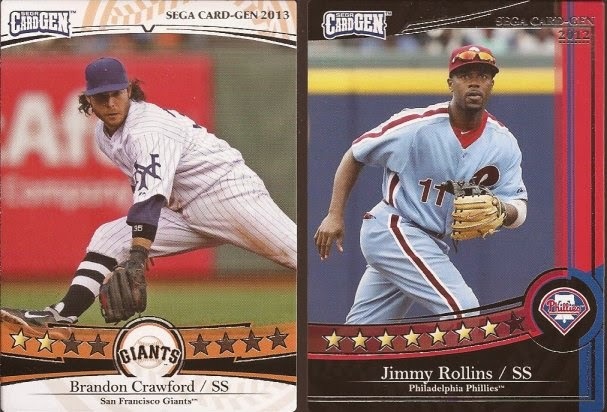 These two are amazing additions to the throwback binder. I moved some cards so these are in the first 9 pocket page when I open it up. Ditto on moving a card for this. 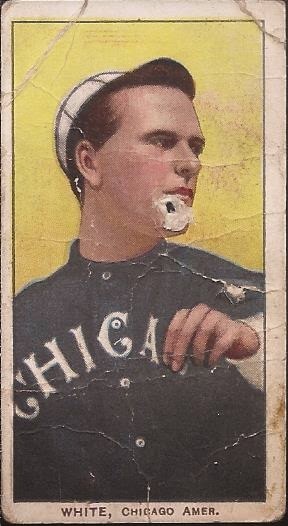 A Japanese Kellogg's card for the bunting binder. Why can't we get anything this nice? This was actually still in the cello wrapper, but not any more. 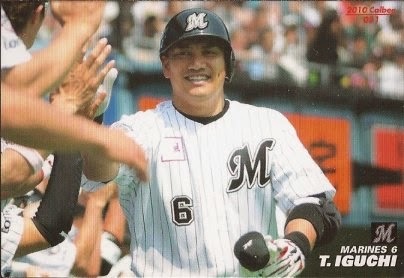 This is a 2010 Calibee of player collection member Tadahito Iguchi. It's definitely a grea addition to that binder. I know I blow the picture up, but one thing that is interesting is the size of Calibee cards. They are thinner than cards printer here. While we are 2 and a half by 3 and a half, this Calibee is 2 and a quarter by 3 and three eighths. It just feels odd, like how large the mid 50's Topps are. My third CardGen, and this is a rare foil for the Paulie binder. Game wise, the foils give extra stats to the player. Collection wise - this is plain awesome. 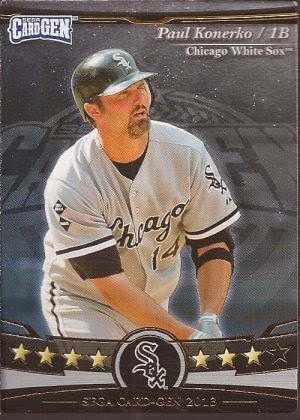 Take a guess what page in the Konerko binder this card now resides. I could stop there. This is already a package I can never hope to repay, nor come close in expressing my gratitude. 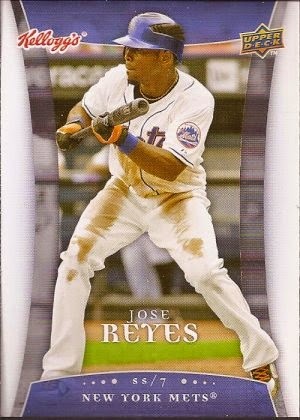 In fact, had this last card not literally fallen out, I could have missed it. He's got a hole in his chin, but that takes nothing away from this beaut. I had a pseudo, mental goal of adding a real T206 into my collection. Someone read my mind. I am utterly amazed at the kindness of the people out there. You are all straight up crazy. In a good way. Zippy - thank again. I will forever owe you. Next time you cross the ocean, can I please just give you money? Zippy is the man. He dropped a T206 on me as well. One of the most generous bloggers out there. Great cards! I'm glad you liked the cards and I'm somewhat flattered that you moved some cards in your binders so the ones I sent are in the front page(s). I felt that I needed to send something very old to make up for the mass amount of new stuff that most likely ended up as dupes and filler that I sent you in 2014, so I sent you a T206. Welcome to the Collectors Who Have A T206 Club ;). Welcome to the T206 club, JediJeff! I feel for Zippy's blog's namesake going under the knife... maybe a blog name change is in the works? I like your Kardashian suggestion. 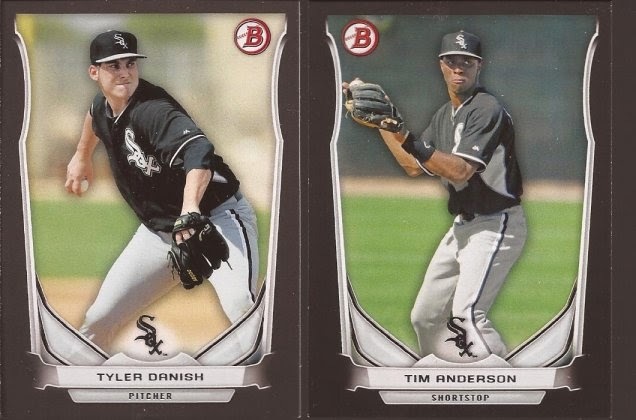 White Sox cards always look better with black borders. Love the T206 too. Nice cards that he sent you!